Viacom employees display the care cards they created for gun violence victims and their families. There’s a reason that hunters, bicycle messengers, construction workers, joggers and anyone else with a compelling reason to stand out drape themselves in orange: it works. After all, it is hard to be mistaken for a deer when you are wearing a blaze-orange insulated onsie in a snow-filled forest. Yet, safety orange is not a widespread part of the everyday American wardrobe, because why should it be? Most Americans are not traipsing through the forest on a deer hunt or delivering pizzas via bicycle on a daily basis. And yet, 93 people die, on average, every day from gun violence. Seven of them are children or teens. Hundreds more are injured. Every. Single. Day. 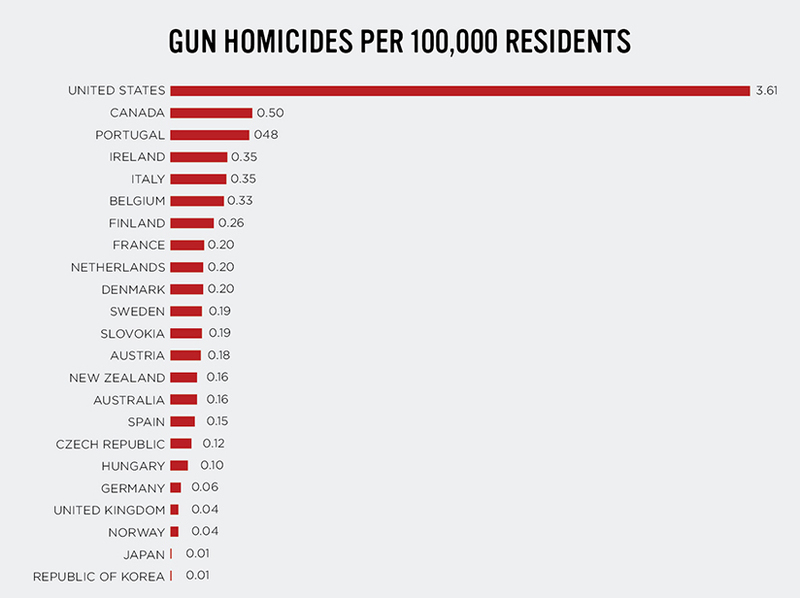 With 12,000 annual gun murders, America’s gun homicide rate is 25 times greater than the average of other developed nations. It is an ongoing crisis in plain sight. And it often seems as though it is being widely ignored by lawmakers and others. On June 2, Viacom once again teamed up with Everytown for Gun Safety for Wear Orange, a statement initiative declaring that change is needed. Their weapon was one that cannot be ignored: orange clothing. Viacom unleashed the power of multiple brands to support the initiative across a variety of on-air and outdoor platforms. The company’s headquarters, a tower heaving from the center of Times Square, served as the epicenter of this support, with the building lit orange along the New York City skyline and a public service announcement – created in conjunction with Everytown and HUGE – playing on the enormous video screens hanging off the building’s eastern facade. The company rallied employees who were interested in supporting the cause, inviting them to wear orange on June 2 in support of the cause via a series of emails. 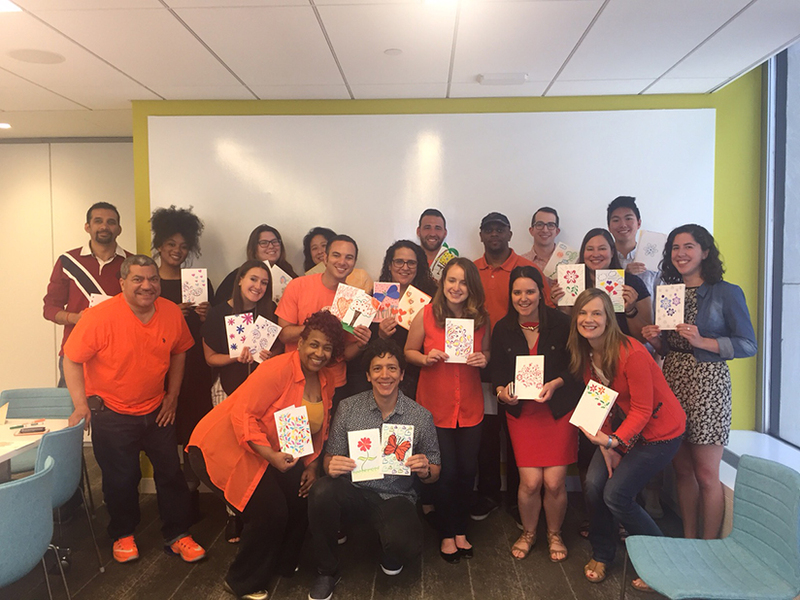 The company also hosted events on the East and West Coasts during which employees could decorate cards for survivors and the families of those affected by gun violence. MTV, BET, LOGO, TV Land, and VH1 supported Wear Orange by turning their on-air bugs and social media handles orange, then supporting the initiative with posts throughout the day, and some Viacom networks also airing the Wear Orange PSA. Friends of 15-year-old Chicago resident Hadiya Pendleton formed Wear Orange after she was gunned down in 2013, just one week after performing in President Obama’s second inaugural parade. Through its Viacommunity initiative, Viacom is committed to improving our communities. More than 4,000 employees around the world rallied to support local projects at the 21st annual Viacommunity Day last month. Individual employees frequently undertake extraordinary efforts on behalf of others, while the company sponsors opportunities to give back through initiatives such as Cycle for Survival and the company’s Talent for Good program, which matches skilled employees with nonprofit organizations in need of those abilities.